Celtic beat Motherwell 2-0 at Hampden Park on Saturday to become the first Scottish side to win successive domestic trebles. Two first-half goals were enough to see off another relatively light challenge for the Brendan Rodgers’s side. 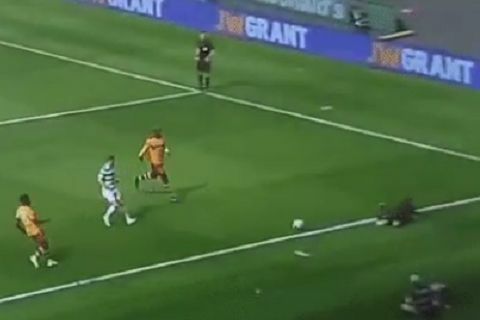 In the process, one of referee Kevin Clancy’s assistants – none other than Scottish Conservative Party Member of Parliament for Moray, Douglas Ross – appeared to trip over himself as the ball was rolling out of play for a throw-in.